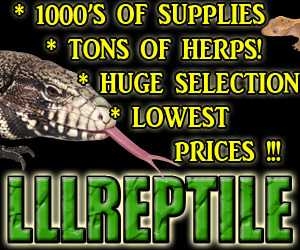 Herp Video of the Week: Pet Iguana! Summer brings classified updates and a sale! What happens to the scarlet kingsnake when the coral snake is gone? Herp Video of the Week: Got worms? Herp Video of the Week: How to find snakes! Beach wedding, now with more giant sea turtle! Did you hear the one about the 2,500-pound snake? Herp Video of the Week: Iguana eating grapes!